Wherever it goes, and it’s been going a lot of places lately, Uber evokes strong feelings – to put things simply, users love it, regulators hate it. Now that Google Ventures has backed Uber with its biggest investment yet, the company’s enemies had best think twice before picking a fight with the scrappy startup. Uber’s latest funding round, which was led by Google Ventures and TPG, brought in a massive $258 million with a valuation of $3.5 billion. TechCrunch reported yesterday that Google SVP of Corporate Development and Chief Legal Officer played a crucial role in the deal, and Uber CEO Travis Kalanick confirmed it today in a blog post. In the post, Kalanick explained that he views the investment as composed of two parts: Google as the “bits” and TPG as the “atoms”. Google’s product experience (Google Maps, Android, self-driving cars) will aid Uber on the technology side, while TPG’s operations expertise with companies in real-world industries will aid Uber. We look to Google and Google Ventures for the strategic connectivity to their product initiatives alongside the expertise that comes with evangelizing new technology with governments and regulatory bodies around the world. David Drummond is our director from Google that will help us navigate the company and provide the strategic advice as our regulatory efforts follow Uber’s launches across Europe and Asia. As we’ve seen with Google, Drummond has some serious fight in him. The way Kalanick talks, Drummond’s about to regulate on the regulators. Two notes on Google investment in @Uber: (1/2) A municipality pressuring Uber will now have to deal with Google legal + David Drummond. TPG founding partner David Bonderman will also help Uber in its regulatory issues. “[TPG’s] deep rolodex of operations executives and their regulatory know-how in highly regulated, “atoms”-based industries in the farthest corners of the globe is where [it] shines,” Kalanick wrote. The influx of $258 million is of course going to be a big help for Uber, especially given the rate it’s expanding, but this is an über-strategic move. Almost as often as Uber announces that it has entered a new city, the company also runs into some form of trouble with regulators in a city it’s already operating in. 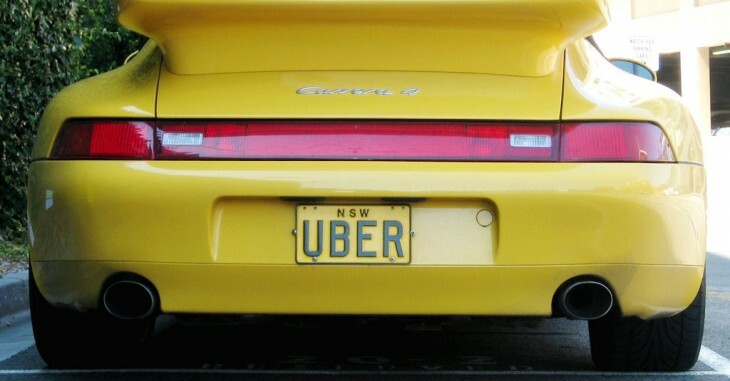 The truth is, Uber is growing up. Lately, the company has scaled back from some of its more anti-regulator rhetoric, emphasizing instead that it adheres to local rules. “We do our homework, we read the local regulations, we read the local laws, and the products that we launch are legal,” Uber DC’s General Manager recently told DCist. Drummond and Bonderman arrive on Uber’s board not a moment too soon. Earlier this week, Uber dove headfirst into what will likely be its most difficult challenge yet: China. Of course, the business model is all the same, but there’s pricing that’s different, there’s regulations that are different, there’s culture that’s different, and there’s competition that’s different. So we have to be able to adapt our solution to what the citizens want. Uber has spread around the globe at a lightning pace. Since getting its start in 2009, Uber has launched in 39 locations around the globe across five continents with plans to enter the sixth (Latin America). Other mobile startups have certainly gone global more quickly, but few have had to face the logistical challenges and red tape involved with black car, taxi and ride-sharing services. Uber needs powerful strategic backers like Google and TPG as it grows into a large enterprise. Now that it has them, and a thick wad of new cash, it’s well set up to execute on its vision of changing “transportation and logistics in urban centers around the world.” With Google’s help, that could even mean robo-taxis.